Chicago Spine and Sports is unlike any other chiropractic, pain management, or manual care center in or around Chicago, IL. We offer an evidence-based, integrated approach to our patients' care including treatments such as Active Release Techniques®, cupping therapy, Trigger Point Dry Needling, IASTM (Instrument Assisted Soft Tissue Mobilization), personal training services, myofascial therapy, and the McKenzie method. We utilize symptom and movement-based classification systems to develop a unique and distinctive treatment program for each patient. While chiropractic adjustments are important, they are only one health care tool. Some patients need adjustments, others benefit from muscular manipulation and a majority of our patients require a combination of joint manipulation, muscular therapy, and rehabilitation techniques. Our goal is to not only relieve your pain or symptoms but to also educate you in prevention and self-treatment. We believe that everyone should have the understanding of how to perform basic maintenance on themselves. We believe that understanding how your body should feel and move can help you on your journey to improved overall health and well-being. Our system allows us to diagnose not only the symptoms you have but why you have them. At Chicago Spine and Sports, we take the time to discover the root cause of your symptoms and do what it takes to fix or manage them. You would struggle to find another clinic that offers the dedication, education, and certifications of our providers. We strive to help our patients reach and exceed their health goals, giving you the freedom to live your life! 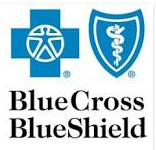 Our providers are in-network providers for most insurance companies. Please call our office so that we may verify your benefits. Our office also accepts Cash, Check, All Major Credit Card and Apple Pay. Payment of Co-Pays and non-covered services are due at the time that services are rendered. In the end, we want you to get the treatment that you need We offer convenient payment plans and options. Please talk to us about setting up a payment plan.